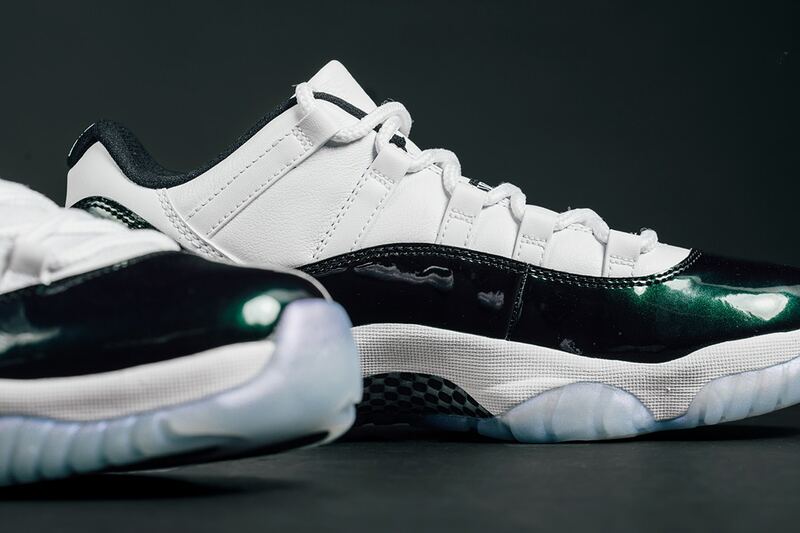 With this release of the Air Jordan 11 Low “Easter”, Jordan Brand celebrates the Easter holiday and Spring season. 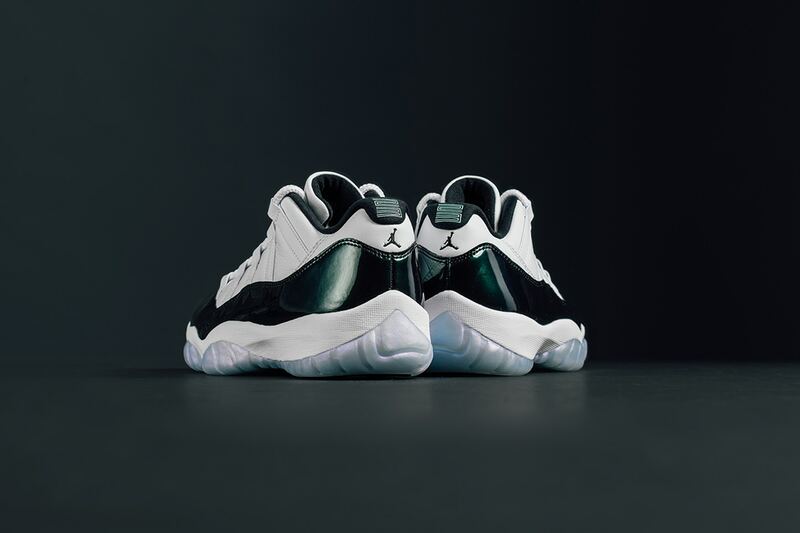 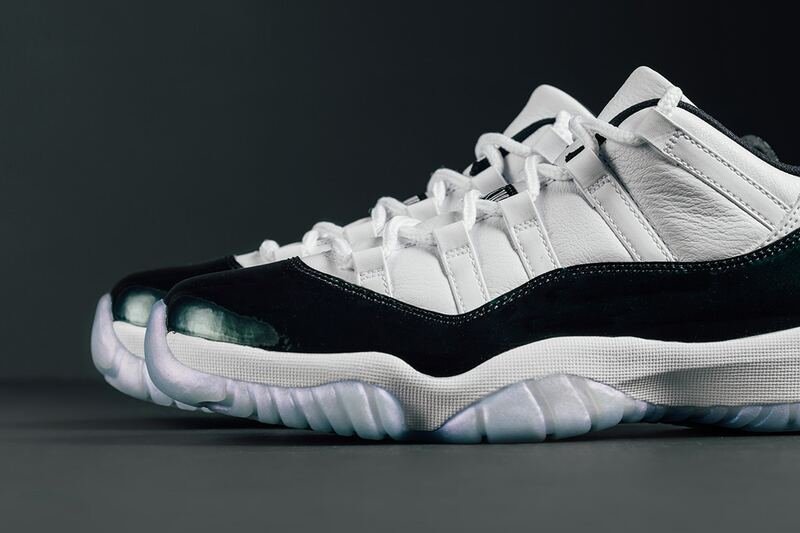 This Air Jordan 11 Low Easter (Iridescent) features a simple two-tone theme, white is used on the tongue, laces and upper portion in leather while the emerald green hue is used for its signature patent leather overlay circulating the mudguard, toe, and heel. 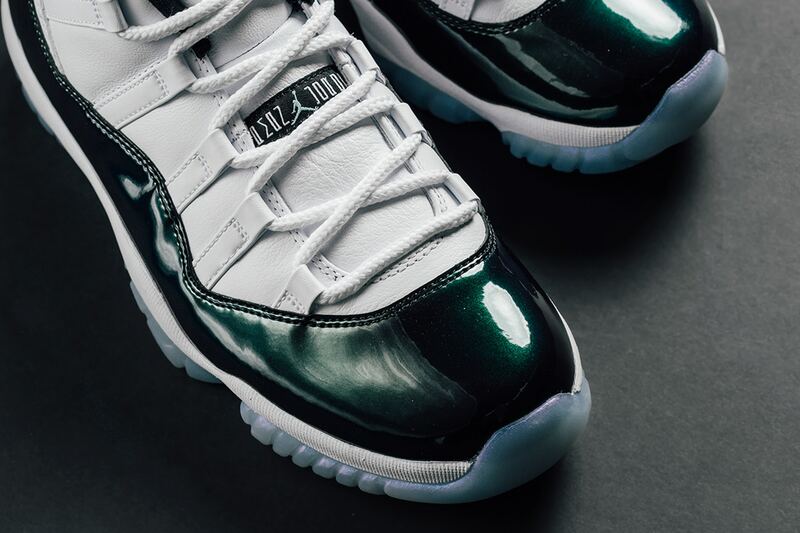 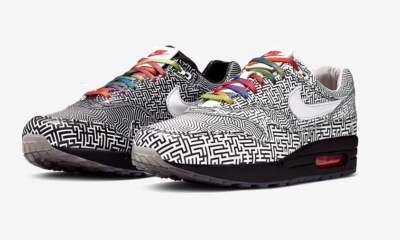 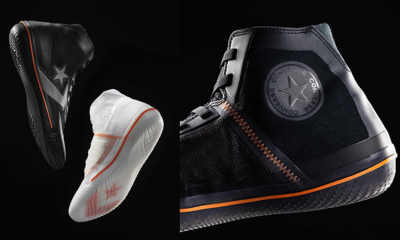 Minor black accents throughout, a white midsole and icy iridescent/translucent outsole complete the design altogether. 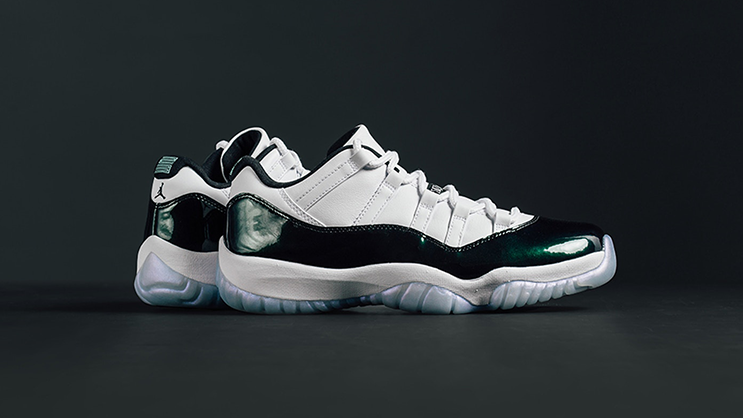 Please note: Online will release pairs at midnight!